Nick Saban, head coach of the University of Alabama Crimson Tide, is the Walter Camp 2018 Coach of the Year. The Walter Camp Coach of the Year is selected by the nation’s 130 Football Bowl Subdivision head coaches and sports information directors. As part of its 52nd annual Weekend festivities, the Walter Camp Football Foundation will host its 12th High School “Breakfast of Champions,” presented by Town Fair Tire and NFP Sports, on Saturday, January 12 at The Omni New Haven Hotel at Yale. The event starts at 8:30 a.m. The four Connecticut high school 2018 state champions – Greenwich (Class LL), Daniel Hand of Madison (Class L), St. Joseph of Trumbull (Class M) and Bloomfield (Class S) – will be recognized. In addition, members of the 2018 Walter Camp All-Connecticut Teams (1st and 2nd) will be recognized. Quarterback Devlin Hodges (Samford) headlines the 2018 Walter Camp Football Championship Subdivision All-America team. Hodges passed for 4,283 yards and 32 touchdowns for the Bulldogs this fall. The team was selected by the head coaches and sports information directors of the Football Championship Subdivision schools and certified by the accounting and auditing firm, Marcum LLP. 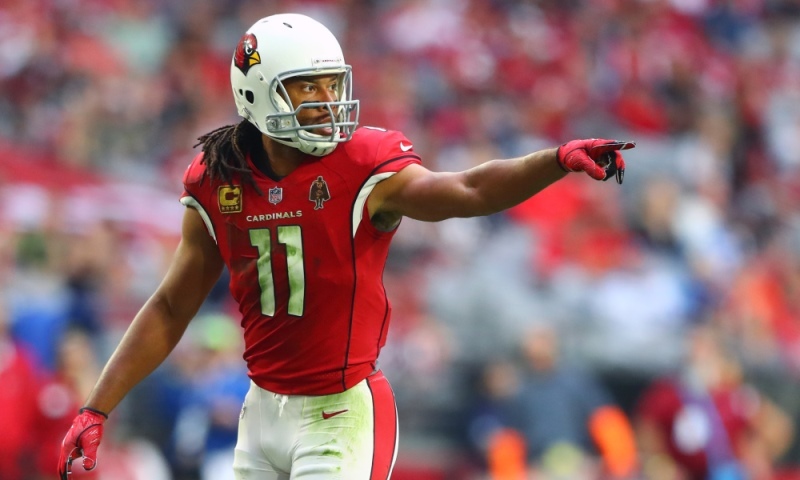 2003 Walter Camp Player of the Year and NFL All-Pro wide receiver Larry Fitzgerald (University of Pittsburgh/Arizona Cardinals) is the recipient of the 2018 Walter Camp “Alumni Award.” Fitzgerald joins a distinguished list of former “Alumni Award” winners, including Alan Page (Notre Dame), Bo Jackson (Auburn), Tony Dorsett (Pittsburgh), Herschel Walker (Georgia), Mark May (Pittsburgh), Tim Brown (Notre Dame), Doug Williams (Grambling State) and last year’s recipient Eddie George (The Ohio State University). The Greenwich Cardinals, the Class LL state champion and No. 1 team in the state’s high school football season-ending polls, is the Walter Camp Football Foundation’s choice to receive the 2018 Joseph W. Kelly Award. The Kelly Award is presented annually to Connecticut’s top high school football team.